From Feb 4th, 2016, MNPS (Minimum Navigation Performance Specifications) Airspace is being dumped as a term (no loss, really), and replaced by the much more user friendly NAT High Level Airspace or NAT HLA. MNPS first came into being in 1977, and this change is significant in that the requirements for approval to enter the new NAT HLA are updated – you must now have RNP4, or RNP10. 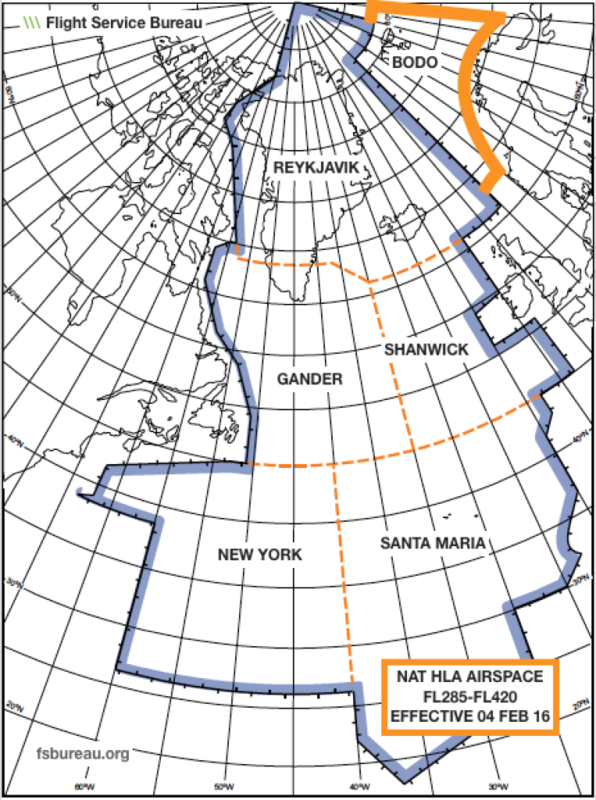 Also, the rest of the Atlantic welcomes Bodø Oceanic to the fray – it joins Shanwick, Gander, Reykjavik, New York, and Santa Maria to make up the new NAT HLA, which keep the original vertical profile of FL285-FL420. In short, that’s all you need to know. You should read our International Ops Notice 01/16 for the full story.